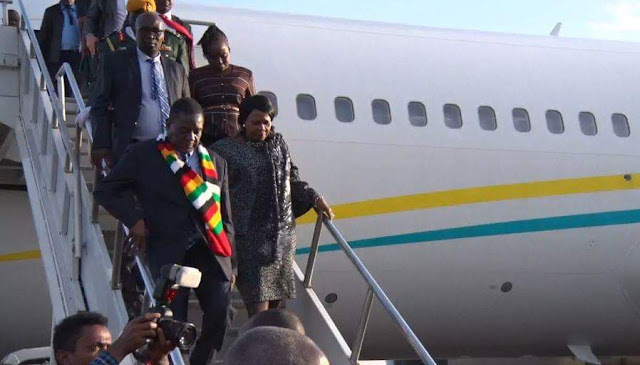 He is accompanied by First Lady Amai Auxillia Mnangagwa and Government officials including the deputy chief Secretary to the President and Cabinet Mr George Charamba. 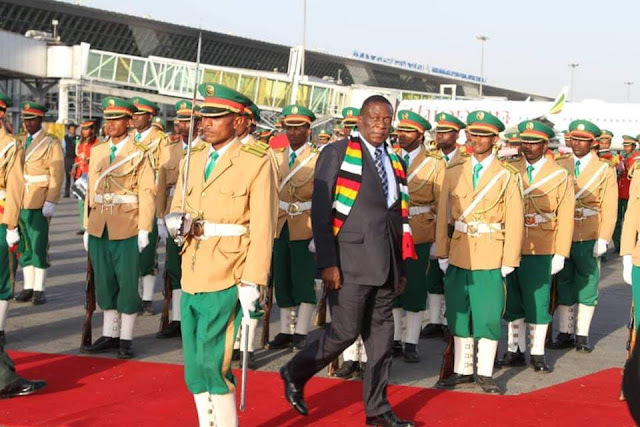 He was welcomed at the Bole International Airport by Foreign Affairs and International Trade Minister Dr Sibusiso Moyo, who was already in Addis Ababa, and Zimbabwe’s ambassador to Ethiopia and permanent representative to the AU Mr Albert Chimbindi. 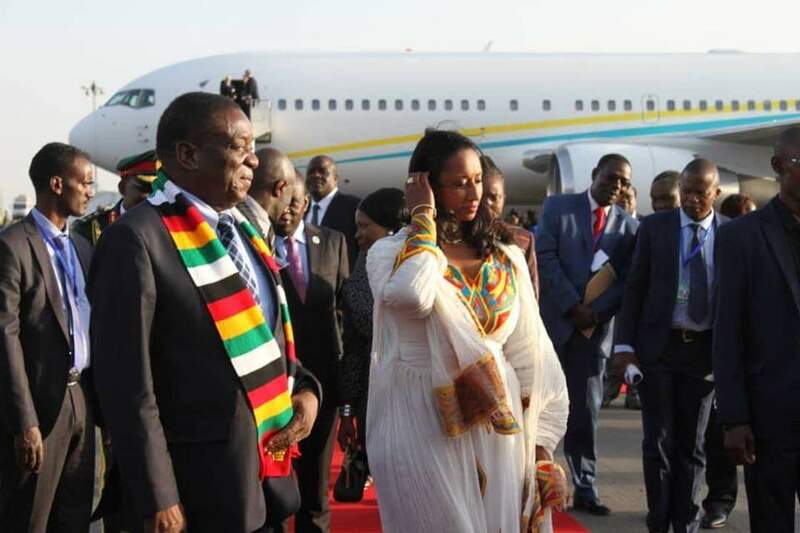 Also at the airport to welcome President Mnangagwa was Ethiopia’s transport minister Ms Moges Dagmawit.